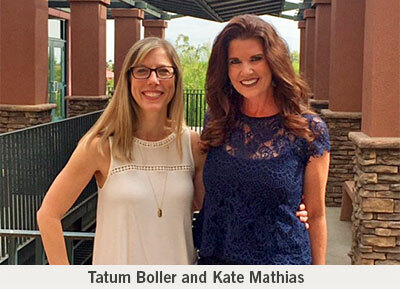 Join Kate Mathias and Tatum Boller in supporting brain tumor patients and their families. Wow! $17,000 raised in just this first year! The day was filled with hail, rain, wind and tons of love to support brain tumor patients and their families! Faith, Hope and Love Brain Tumor programming is a project under the Dignity Health Foundation East Valley, a 501c3. Your gift is guaranteed to support patients and their families 100%, and is tax deductible as allowed by law. Get ready to join us next year to raise over $20,000! 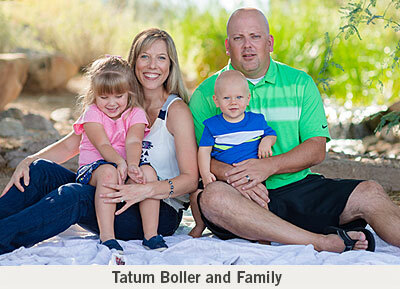 Tatum Boller and Kate Mathias are beautiful women, mothers, wives, survivors and friends. Along with their families and friends they unite to raise money to help fund research to find a cure, and to help brain tumor patients and their families by providing support, both physically and financially. 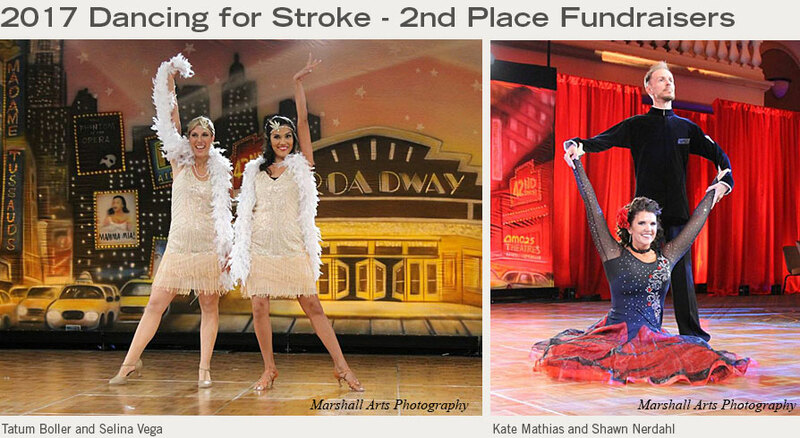 It is their goal to create a non-profit charity called "Faith, Hope and Love Brain Tumor Foundation." The Dignity Health Foundation East Valley is proud to join these amazing women and their friends and family and serve as the launching pad for their dream. The Dignity Health Foundation will host this project until their personal dream becomes the reality of their own charity - both of which exist to serve patients and their families. Thank you Kate and Tatum for your faith, love and HOPE! The Reiser's love you, Kate!! Thank you for your passion in sharing your journey and helping others! Proud of you sister! You got this! My journey started in October of 2012 when my neurologist misdiagnosed me with having had a stroke. For the next 16 months, I would suffer daily with a headache that never went away, a 25 pound weight loss, and exhaustion that made it difficult for me to get out of bed, let alone take care of my three small children. Luckily, I injured myself in December of 2013 and ended up in the hospital. For four days, multiple diagnosis were thrown around including multiple sclerosis and a brain tumor. I was assigned a new neurologist, one whom refused to give up on me until I was correctly diagnosed. On January 2nd, 2014, I found out my mass was indeed a brain tumor. I had surgery to have it removed on February 10, 2014, at Barrows Nuerological Institute, the day that would change my life and perspective about everything. When I came out of surgery, my oncologist told me I had about 2-3 years before I would’ve died as the tumor was growing and compressing vital components in my brain. When faced with my own mortality, it would forever change the way I looked at life … looked at every thing around me. Mark Twain said, “There are two important days in your life; the day you’re born and the day you find out why.” I’ve found my why. I need to make a difference in people’s lives, those who are struggling physically and/or mentally. I’ve already dedicated my time and efforts into helping the National Brain Tumor Society by being active in helping fundraise and donating a portion of the proceeds from my autobiography to them. I need to do more. I am personally committed, as are my family and friends, to raising money to help fund research to find a cure, and to help brain tumor patients and their families by providing support, both physically and financially. March 4th, 2012, is a day I will never forget. This was the day my daughter (first child) was born, and the day I found out I had a brain tumor. It was on my second push to bring this amazing little girl into the world, that I ended up having a seizure. This turned our family’s lives upside down in a brief second. Prior to getting pregnant with my first child, I worked out and was very healthy. I also worked full-time and put myself through school to become a nurse. Looking back, besides a headache here and there, I didn’t have any symptoms that would make me think that I had a neurological issue or brain tumor. My husband and I tried for almost two years to get pregnant, and we were over the moon when we found out we were having a girl. Besides my husband and me, our entire family was beyond excited to meet this angel coming into our world. Little did we know, God was not only sending an angel, He was also sending my own personal angel who I believe saved my life! From this day forward, I can definitely say my life has changed. We ended up choosing to do a biopsy of the brain tumor the same week I had my daughter. It became a waiting game for the results. 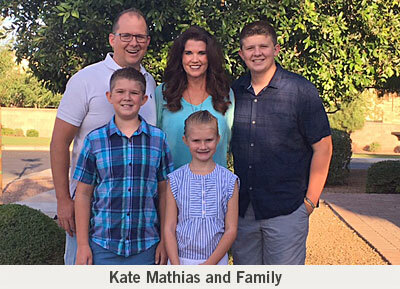 We, as a family, decided that having surgery at Barrow Neurological Institute would be the next step to start my journey. After meeting my amazing surgeon, who I now hold close to my heart, I had surgery on May 24th, 2012. Starting the following year of January 2013, I had 8 weeks of radiation. I ended up having another surgery in October 2015 after seeing a change on my MRI. As of today, I am happy to report, that my MRI's and appointments with my oncologist, have been expanded to every 6 months. I truly believe that I am beyond blessed for my family and for all the love that surrounds me. I have been doing very well. After everything that happened, I saw how amazing people and the world could be. People from everywhere, even people I have never met before, came into our lives to help. This is something I will never forget, and it has hugely changed me. I can't imagine living my life now and not teaching my children how to help others. The struggles people are going through, will not only change their lives, but the lives of everyone they know and love. There are many ways to help. They may need a bill paid, meals brought over, time to sleep, or just time to talk with someone who has been through something similar. Having people, prayers, and love can help them get through from one day to the next. I want to make a difference in someone’s life, like all the people who made a difference for our family and our journey.